is this monitor LED backlight or CCFL? or just nvidia 120hz only? 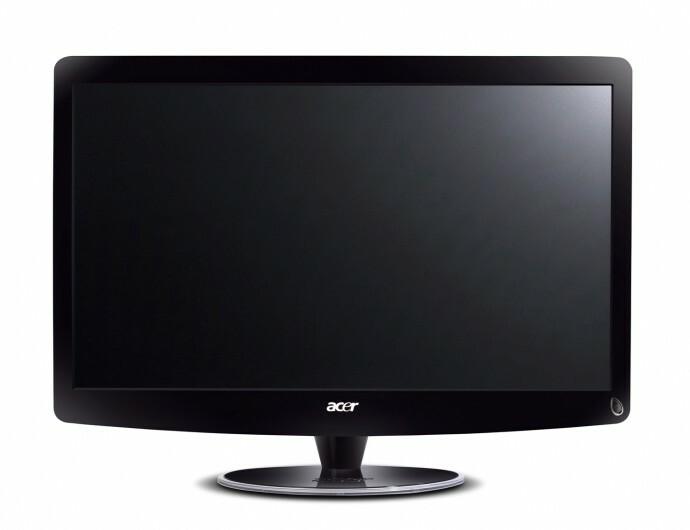 The monitor uses LED backligh, not CCFL. Will this work on a device that’s not HDMI 1.4 and uses Side by Side, like a Cable Box or a Tivo HD, and get 3D? So can anybody tell me where i can buy this display? $700+$10 shipping? Do these companies really think this technology is really worth that premium price tag? No, the monitor does not work with Side by Side or Above/Below input source, only HDMI 1.4(a) frame packaged input is accepted and displayed in stereo 3D mode. ev3info, you can heck within the local Acer distributors in your country for a start to see if it is available and if/when it will be. haseeb, it is up to the users to decide that… the price in Europe for example is even higher. Bundling a pair of shutter glasses also brings up the price, but you also have smaller and more affordable alternatives available. anybody spot it in Canada yet? I looked on newegg.ca et ncix.com and haven’t found it yet. plus i suppose its only fewer older devices that use this now, still it is a shame that this monitor will not cover all angles, but then its not a 3DTV but a higher end monitor for PC …. Thanks for being on top of the coverage Bloody. I have been waiting on this forever and pulled this trigger. I’m pairing it with an ASUS GTX580 (3.5 slots!). I appreciate this site a ton as a source for all things 3d, but especially for the timely, complete and unbiased coverage. I’ll post impressions to this thread if they have anything to add to Bloody’s review. Any news on the Gn245hq? Not available in Canada yet, but i understand, we are so pathetic. You speak of a device that can convert side-by-side format from a satellite receiver to a format that would be understood by a monitor such as this… what devices do this? I’ve read a bit about devices that do something similar but they only seem to work for DLP projectors.. unless I’m missing something. You can watch side by side videos but they have to be run through software like Cyberlink Power DVD9. Tested and works quite well. It seems that the monitor will be available this week in Germany and Switzerland (approx. in 2 days). I can’t wait to play Crysis 2 and to watch Avatar on this. Only tried the Pc so far. today i will try the Ps3. It’s a bit of a risk…. anyone used this store before?